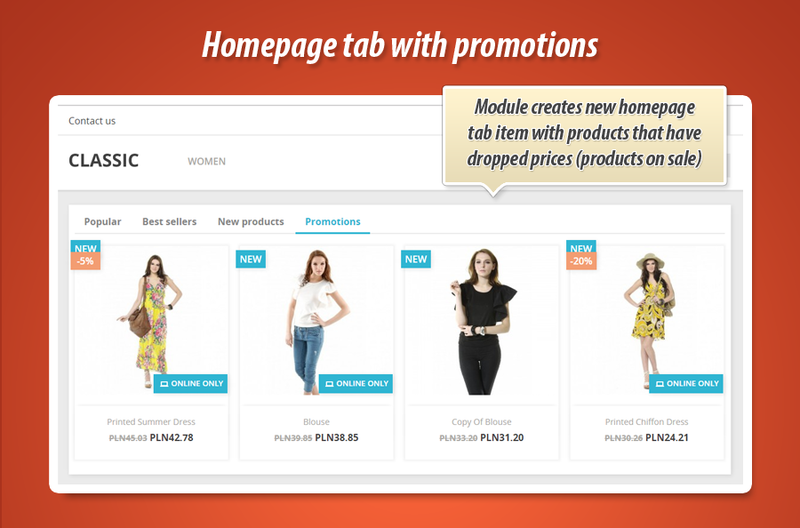 Main and most important feature of this module is possibility to display new item in your "homepage tab" with products that currently have dropped prices. 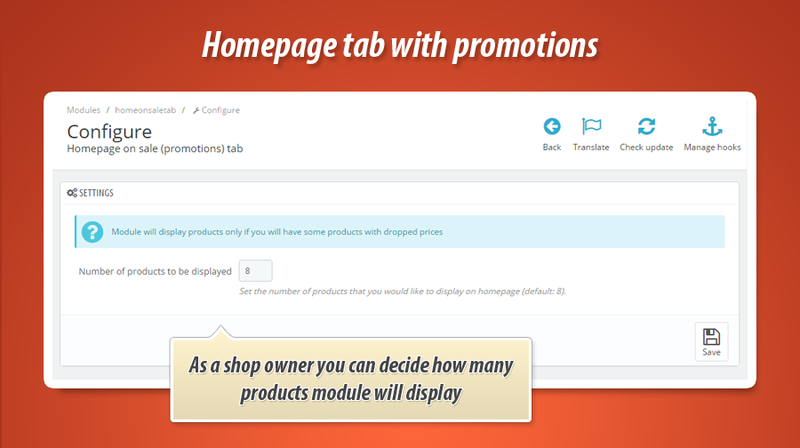 So, if you've got some discounted products - module will display them in this tab. 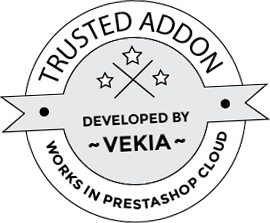 As a shop owner you can decide how many products module will display on its configuration page (there is an option to define value). - added notification if your shop has no products that have dropped prices.